After suffering a rough fall on his triple axel in his short program, 2018 Olympic silver medallist Shoma Uno rallied back to win his second consecutive Skate Canada International title. In his “Moonlight Sonata” free skate, Shoma completed four quadruples, including a quad flip, quad toe-double toe and quad toe. Shoma “Pocket Rocket” Uno had a rough time when he competed at the Figure Skating World Championships in Milan for Team Japan last week. 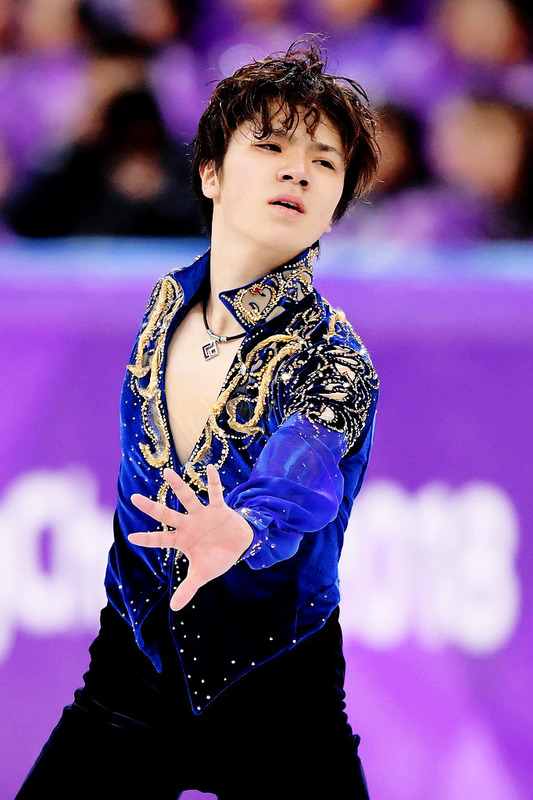 Performing on pain killers due to an injury, he fell several times during his free program but he fought through the pain and frustration and despite his tears he ended up on a fantastic 2nd place behind Nathan Chen. 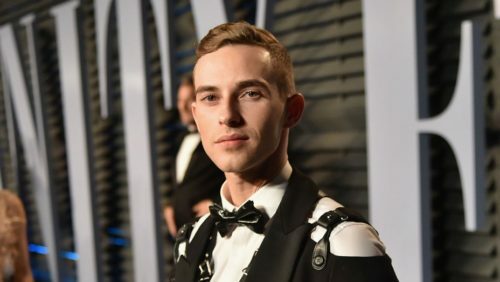 Olympic figure skater Adam Rippon was honoured with the Visibility Award at the Human Rights Council annual gala on Saturday — and as we’ve come to expect from him, he completely stole the show with his poignant words. 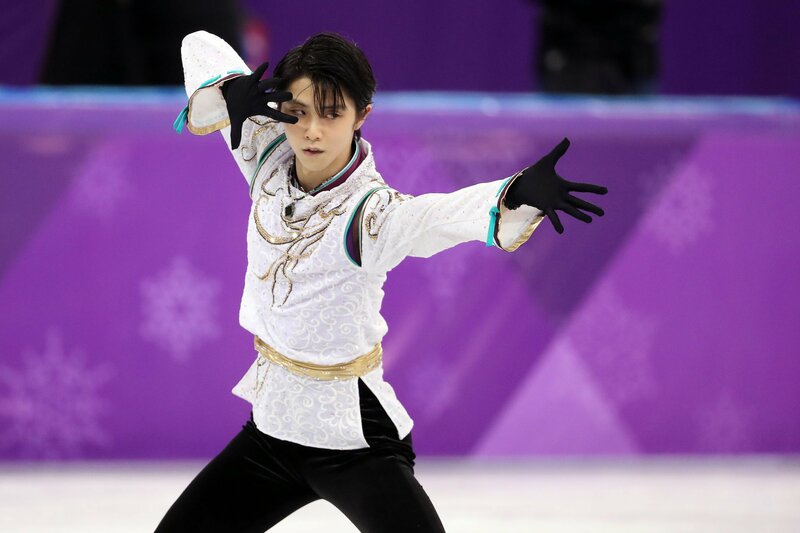 Yuzuru Hanyu clinched the first back-to-back men’s Olympic figure skating title in more than six decades on Saturday to cement his status as the “Ice Prince” of the modern era and possibly the best skater in the history of the sport. The 23-year-old superstar made light of a three-month injury hiatus to come back with a strong performance. His 2014 success at the Olympics in Sochi elevated him to cult status in Japan, and he did not disappoint his huge army of adoring fans. After his not-quite-spotless free skate, which opened with a quickfire quad salchow and quad toeloop, he bowed to his fans as they in turn tossed his Winnie The Pooh stuffed toys, his mascot, onto the ice. 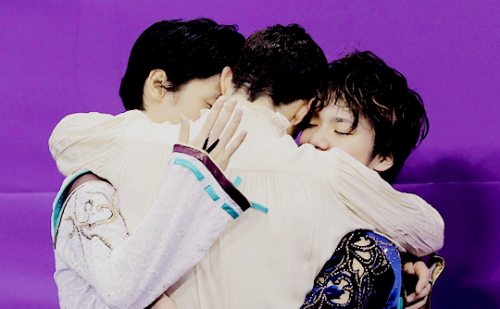 Yuzuru, Javier & Shoma in a loving embrace after the competition. Also check out this article in the New York Times about the hard and painful way that lead Yuzuru to his second Olympic gold. But after being asked the same question in the post-ceremony press conference, the pint-sized 20-year-old opened up a little. Known as the “Pocket Rocket” for his diminutive frame but phenomenal jumping ability, he said he was glad to have escaped with just one mistake in the free skate. Even before competing in Pyeongchang, South Korea, Rippon made headlines for denouncing Vice President Mike Pence’s record of opposition to LGBT rights. Friday, the 28-year-old Olympian will compete in the men’s single skating event. But what did teenage Rippon think about the Olympics? In an unearthed 2003 interview with Pennsylvania TV station WNEP-TV, Rippon, then 13 and already having won international figure skating competitions, told reporter Jim Coles exactly where he aimed to be.